You’ve probably had your current air conditioner for a few years now and it has served its purpose quite well. However recently, you begin to notice faults in its performance and are wondering if you should buy a new air conditioner altogether; here are the signs that your current air conditioner needs to be replaced ASAP. It’s outlived its service time guarantee – When buying your air conditioner, always check and note it guarantee service time. This is an indicator of how many years of service you should expect high performance without incurring any mechanical problems. The closer you get to its guaranteed lifetime, the more you will begin to notice faults in the system’s performance. 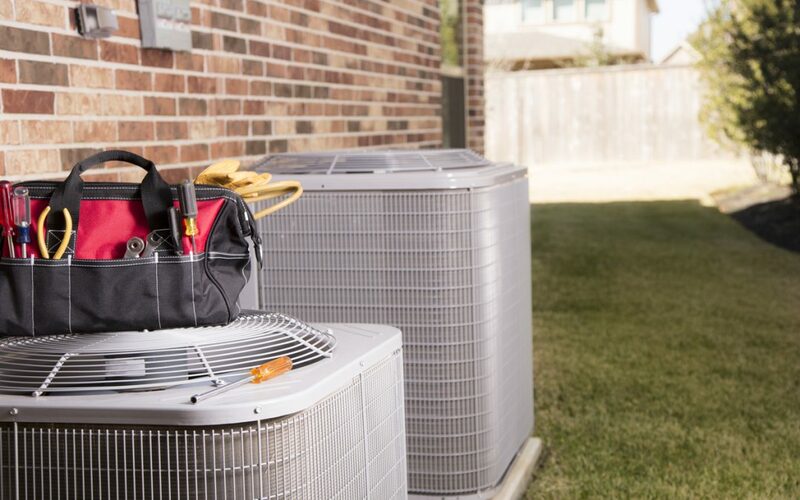 Some may outlive the guaranteed period with a few more years, but when its issues arise and it’s past the service lifetime, it’s better to buy a new air conditioner than waste money on repairs. Disrupted air flow – If you notice your system does not provide a continuous flow of air, its filters are either broken or clogged or the conditioner’s capacity to circulate air is compromised. If this remains persistent even after a couple of repairs, you better buy another conditioner and have this installed instead. It will save you time and money while providing the service it should. Leaking refrigerant – Air conditioners have fluid inside that take part in the heat exchange process between the air flowing into the system and that flowing out. If this fluid begins to leak, the conditioners performance is affected. To keep the warm and cool air flowing into your interior continuously, you will need to get a new conditioner installed. Rocketing electric bills – Modern air conditioners are designed to be efficient in performance and power consumption. If you notice your power bills rising every month, while all factors have remained constant, your air conditioner could be consuming more energy than it should in the first place. Call a technician to come and inspect the system and if its power efficiency has been lost, you had better buy a new one since saving on the cost of a new air conditioner will have you spending that money on high energy bills anyway. Signs of aging – Nothing old is as efficient as it used to be when new regardless of how well maintained it is. Conditioners though designed for long-term service, do age and begin to wear and tear on multiple parts. A clear indicator of this will be rattling sounds coming from your air conditioner. Even though ACs are not entirely silent, there is a sound that is unfamiliar with what you are used to hearing. Do not ignore this and hope it goes away. Instead, prepare yourself to purchase a new system as your current has certainly come of age and is running its final steps. At Air in Motion, we believe in providing top-notch HVAC services to our clients both residential and corporate. Our services are available throughout all cities in Canada. Our team comprises of qualified technicians able to accurately diagnose faults in your air conditioner, repair, replace or install new conditioners. We give sound advice and practical tips to keeping your conditioners running perfectly as we understand they are a significant investment. If you are having problems with your conditioner, reach out to us and we will be happy to extend our services to you.